Call center quality assurance is a vital component in maintaining excellent customer service levels in a contact center. For many contact centers, this is an area that they struggle with. The business impacts of poor or spotty quality management can be significant. Appropriate call center QA will drive improvements in agent performance, enable objective performance management, surface training gaps or issues, and overall improve efficiency. If your contact center is not operating with optimal quality assurance practices, it may be time to consider outsourcing to managed QA services. Managed QA services simply means outsourcing quality assurance activities to an experienced and qualified third party. This can free up resources in your call center and enable a higher standard of quality management than the contact center might have otherwise been able to achieve. When you utilize managed QA services, you turn over monitoring of calls, chats, and emails (if applicable) to the service provider. The service provider will monitor, review, and score the customer interactions as required and provide reports and feedback. These can be used to generate actionable activity to improve operations in the call center. You can customize your managed QA services to meet the specific needs of your organization. This might include the level of detail in reporting, the types of metrics that are tracked, and the frequency and depth of call monitoring. It is possible to develop a plan for managed QA services that meets both the requirements of the call center and your budget. Before you implement managed QA services, you will want to make sure you have identified in detail all of these factors that are critical to quality assurance in your contact center. Then, you will need to research the right partner to help implement your managed QA services. If your call center could benefit from outsourcing quality assurance services, the first step is to find a partner to manage your QA. You will want to work with an expert team to craft and implement the optimal solution for your business. To learn more, consider contacting Evaluate Quality, founded by Sage Equality. The expert team at Evaluate Quality can help you identify and design the solution that is right for your call center and help you get the high level of quality and service that you need. 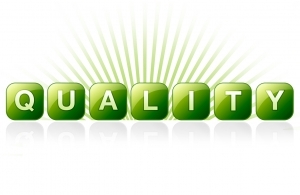 Evaluate Quality can be your full service partner for all of your call center quality assurance needs. The firm is experienced in designing solutions that are tailored to their customer’s requirements. They have worked with organizations large and small in all different industries throughout the United States. Contact Evaluate Quality today to schedule your no obligation demonstration.